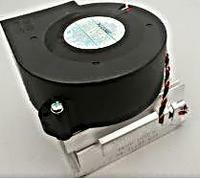 Hewlett Packard - BFB1012H HP/COMPAQ - 12V 1.2A 97MM PROCESSOR HEATSINK FAN ASSY FOR NETSERVER EVO D530 (BFB1012H). REFURBISHED. IN STOCK. SHIP SAME DAY. Hewlett Packard - D3349B HP/COMPAQ - HOT SWAP TRAY FOR NETSERVER (D3349B). REFURBISHED. IN STOCK.SHIP SAME DAY. Generic - MP301001 GENERIC - HOT PLUGGABLE HARD DRIVE TRAY SLED BRACKET WITH SCREWS HOLDS A 1INCH ULTRA2 SCSI HARD DRIVE FOR NETSERVER (MP301001). REFURBISHED. IN STOCK. SHIP SAME DAY. Hewlett Packard - HP Ultra2 SCSI INTERNAL SECONDARY DRIVE CAGE For NetServer LH3000 or LH6000 series PN: D9158A. SAME AS: 5064-9503 5065-0227 D9158-60001 D8520-63003 D8520-69003. Hewlett Packard - HP 6-BAY DRIVE CAGE. P/N: 5064-3545 OR D6077A. NETSERVER BACKPLANE W/CAGE. FOR LH4R LH4 LH3 LH3R. Hewlett Packard - P1824-63031 P1824-63031 HP Power Supply Cage Housing For Hp Netserver. New Bulk Pack.